It has been hard to motivate myself to get out and run lately with first of all seemingly endless rain from the middle of June until the first half of July, and then unbearable heat of over 30 degrees every day since. Yesterday I ended up walking back halfway through my 24km run with the Mercury hitting 34 degrees. This evening I forced myself to go out again for 12km. There’s no sun of course at night, but the temperature was still 29 degrees Celsius. The heat got to me again and I only managed 6km. But still, it’s better than nothing. I’m over 100km for the month and will have to work hard to run 46km over the next five days to achieve my monthly target of 150km. Every cloud has a silver lining. 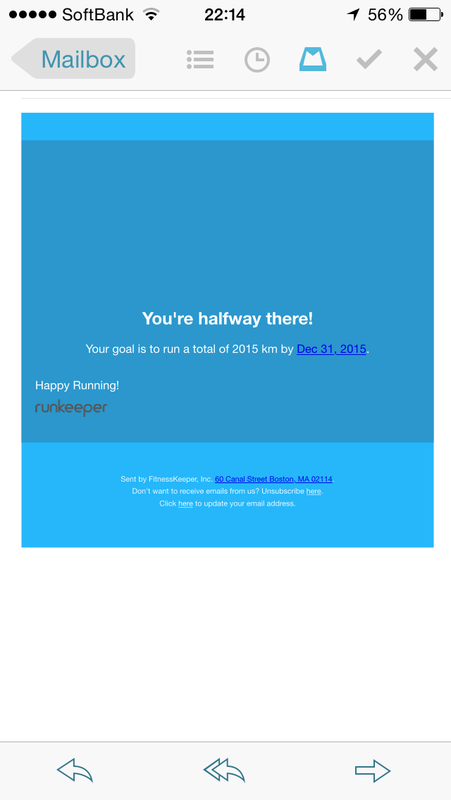 At the end of this evening’s run, I was greeted with a message from Runkeeper telling me I had got halfway towards my year-long goal of running 2,015km: only 26 days behind schedule. 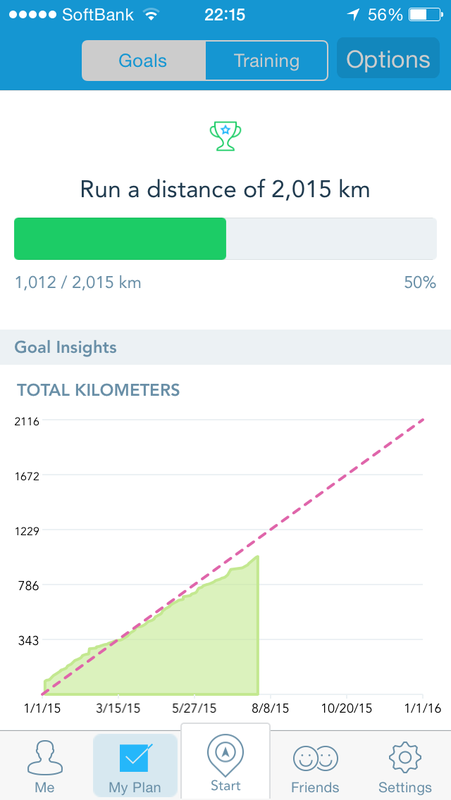 Last year, it wasn’t until October that I managed to run over 1000km for the year.